The Congress has reversed itself on Prime Minister Narendra Modi’s blog. 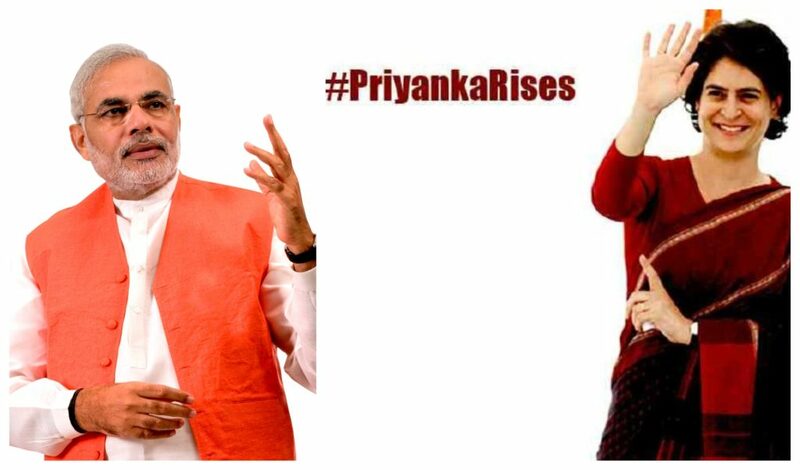 Priyanka Gandhi, while replying to PM Modi, said that the BJP has been running the institutions in its own way for the past five years. We will fight so loudly as much as we can withstand. We are not afraid. Apart from Priyanka Gandhi, Congress leader Tariq Anwar has also reverted to PM Modi. Tarik said that he is probably saying this because he has no descendants. In the whole world our offspring is carried forward. Dynasty is promoted in politics or any other profession. Not to increase PM’s own lineage, that is why they are speaking like this. “The Congress has always seen the defense sector as a source of income, which is why our armed forces never received the honor from the Congress, which they deserve. Since 1947, every Government of the Congress. There were various types of defense scams in the scandal, which started with Jeep, which reached the cannon, submarine and helicopter, in which every middleman is connected to a particular family. When a senior leader of the Congress party called the Army chief as a punk, then his height was increased in the party, which shows how he dislikes his army. “Even in a general legal process, there is a sense of arrogance and authority in their behavior, at present, their top leadership is on bail in major scandals, whenever they ask questions related to an authority scam, Do not think that they are frightened by their accountability: Think from the press till the parliament, from the Soldiers to the Free Speech, from the Constitution to the Kor. Till the Congress has been the way of Congress to humiliate institutions, his thinking is that all is wrong, and only Congress is right, that is, ‘do not sell the account, whatever Congress says, the same’.